A Chinese American and son of Chinese immigrants who escaped from the Communist takeover of China in 1949, Stanley Chao grew up in California in a very traditional Chinese family: living with three generations under one roof, speaking only Chinese until grade school, and learning that anything less than an A grade was unacceptable, and that working hard was the only way to get ahead in life. Chao holds a BSEE degree from Columbia University, an MSEE from the University of Pennsylvania, and an MBA from the UCLA Anderson School of Business. His professional career includes stints at Philips Lighting in California, and China; Kingston Technology in California and Japan; SoftBank in Japan; and Merrill Lynch in New York and Japan. He speaks fluent English, Mandarin, and Japanese and currently resides in Los Angeles. 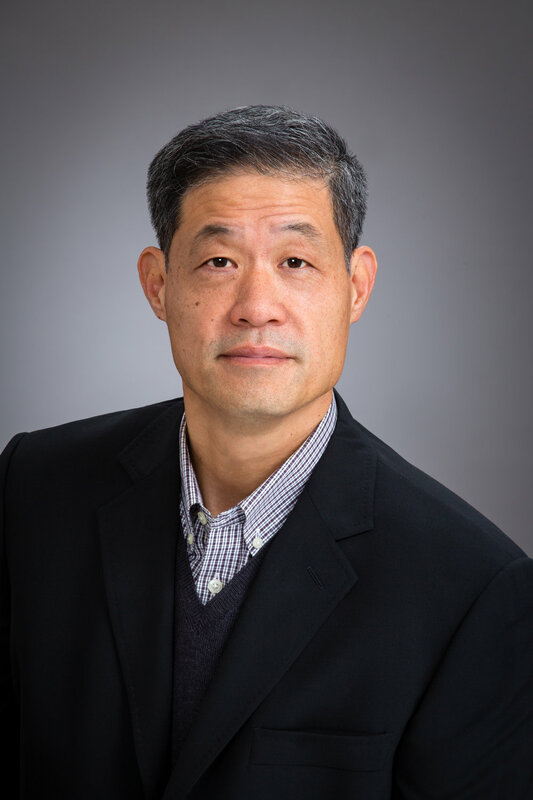 Chao is the Managing Director of All In Consulting, a Los Angeles based consulting firm assisting Western companies in their Asia and China business developments. Chao’s clients include: Intel, Emerson Electric, SPX, Kingston Technology, Baxter Healthcare, and dozens of small and medium-sized companies. Chao and his team have conducted over 200 projects in China covering more than 12 different vertical markets including the aviation, automotive, medical, information technology, manufacturing and environmental engineering industries. Welcome Stanley and thank you for being here today. What is Selling to China about? The book is a primer for any business wanting to sell their products and services to China—or for those that have failed in China and want to know why or give it another go. It’s also for anybody who just wants to know more about China, as I discuss social, some political, historical and linguistic issues concerning China. 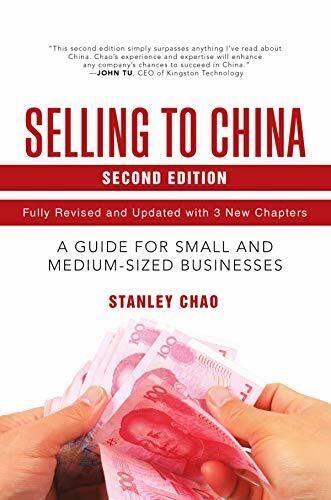 As this is the second edition, I’m curious to learn what originally inspired you to write a guide for companies interested in doing business in China and what new information is available in this second edition? I’ve been consulting for 10 years and kept seeing the same mistakes made by companies—they were signing bad contracts, using awful translators, and getting ripped off. So instead of reinventing the wheel each time for a new client, why not just write a book about the everyday, common problems companies face in China. China is always changing so my book needs updating every few years. I updated every chapter and added three new ones—selling online, a quick lesson on the Chinese language, and my favorite, forecasting China’s future with 11 bold predictions. What is the biggest misconception about doing business in China? That China is a difficult place to do business. It’s not difficult. But China has a different set of rules and Westerners need to know them to succeed. It’s like playing poker, but now the 2s and 4s are wild. It’s the same game but with a little twist. What do you see businesses most often doing wrong during the process? Four big mistakes I often see: 1) They try to apply Western rules and practices to China but China has its own; 2) Western business use trust in their business decision-making process. Trust has to be completely taken out when venturing into China; 3) Westerners always want to do business in English. You’re doing business in China, so find someone in your company that speaks Chinese and write contracts in Chinese; and 4) And most of all, never compete with locals. How does today’s political environment affect doing business in China? It’s difficult. Everybody’s confused about the tariff war—what they can buy or sell in China. But most of all, business people can’t plan for the future—do I invest in a manufacturing plant in China, or do we sign a long-term contract with a Chinese partner? Businesses are now sitting on the fence and waiting for things to clear up. My response is to think long-term but react short-term. Short-term blips like tariffs should not affect your long-term goals for China. If you think China has great opportunity and will be 20-40% of your total revenue in 5-7 years, then don’t change your strategy. Rather, just make tweaks here and there to respond to the bumps along the road of a long, long journey. How is the “Me Generation” changing the way of doing business in China? These are the under-40 age group that wasn’t adversely affected by the Cultural Revolution. Doing business with them is easy: they speak English, have lived abroad, travel frequently, and share Western moral and ethical values. In 10 to 20 years, this generation will be the CEOs, political leaders, and educators in China, and I believe China will “look and feel” more like the West. And so will doing business—you won’t need highly paid consultants like me anymore. How does Selling to China stand apart from other books written on the topic? Most other books talk about what Apple, Ford, Nike, or Warren Buffet is doing in China. The advice the books give are for large multinational companies that have hundreds of Chinese employees, long-term business plans, millions of dollars to spend, and inside connections with high-level Communist officials. Smaller businesses (<$200 million in sales) don’t share theses same perks and need a completely different strategy for China. My book and advice give the smaller companies exactly what they need to succeed in China. Author, business professional, consultant—sounds like you have a crazy schedule. What do you like to do in your free time to unwind? It sounds weird, but my son and I collect beetle specimens from all over the world. There are thousands of different types of beetles and fortunately many of them reside in Asia—China, Japan, Indonesia, and Thailand. I travel to these countries on business frequently and will take a day off to explore the rainforests, national parks, and marsh lands to collect beetles. It keeps my business trips interesting, as well as maintains connection with my son and family while I’m away. What is the best advice you’ve ever received—about business or life in general? Be flexible and have an open mind to new things. This is especially needed in China where we’re dealing with a different culture, language, and social habits and norms. What advice can you give to young entrepreneurs just starting their careers? Business is international, so move to another country, learn the language and culture, and live like the locals for a few years. Be the expert in your company for whatever country you choose. It doesn’t have to be China—choose Russia, France, or Nigeria. Where can readers connect with you on social media to learn more about Selling to China? I’m on Facebook, LinkedIn, and my website www.allinconsult.com. Where is Selling to China available for purchase? Just anywhere books are sold—Amazon, Barnes and Noble, most major book stores.